The digital video advertising industry is poised for massive growth over the next three years, with spending expected to increase by double-digit percentages annually from 2018 through 2021. Forecasted investments will top $22 billion by the end of that period. This is the headlining takeaway from eMarketer’s recent Digital Advertising Best Practices 2018 report. It reaffirms something that marketers everywhere are coming to recognize: the time for B2B video is now. Here are some other noteworthy nuggets and recommendations from eMarketer’s extensive rundown, which features input from numerous experts in the field. You’ll hear it time and time again: today’s web users expect and demand contextually relevant experiences. It’s important to think about where your video will be seen and what the viewer’s mindset is. 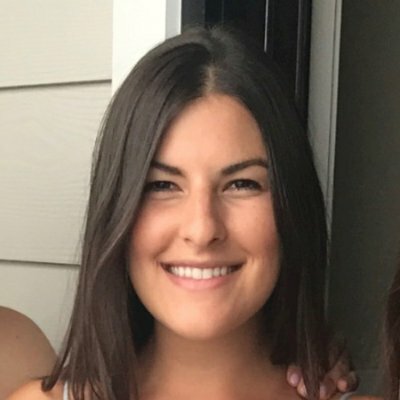 “To adapt content for different platforms, you have to think about length, messaging and exactly where the ad is going to be placed, and how the user is going to interact with it,” said Jenna Gaudio of Vydia. For example, members on LinkedIn tend to have a different mindset while scrolling their feeds than someone perusing YouTube or another social media channel. These individuals are usually looking for work-related content that supports professional growth. This doesn’t mean that your casual, lighthearted video won’t perform well on the platform (in fact, research from the Financial Times found that C-suite audiences highly value humor and creativity), but it’s always wise to be cognizant of how your content will fit with its surroundings. The quest to deliver relevance doesn’t end with adapting your videos to the channel where you post them. Today’s best video marketers are taking extra steps by targeting specific audiences with content that speaks to them directly at their stage in the buying journey. “Finding the right audience through targeting is more important than ever, because you can really see a difference in your performance if you’re tapping into the right people,” said Stacey Politi of First Look Media. This is undoubtedly becoming a pivotal differentiator when it comes to video marketing success. Fortunately, LinkedIn offers a wealth of filters and targeting parameters to help you narrow the scope of your Sponsored Content, including video. Take advantage of them. When creating a video asset, you will likely want to publish and promote it across various online hubs. And of course, different lengths make more sense in different settings. For instance, a member scrolling her LinkedIn feed probably won’t stop to watch your five-minute product demo. But if she clicks a link to that video on YouTube from your website, it’s a different story. Envisioning different versions of your video to appear on different platforms is the smart way to go. So when promoting your lengthier video on LinkedIn, you might consider snipping out a 30-second excerpt highlighting elements that would appeal more to your targeted professional audience there, with a call-to-action driving them to your larger asset. LinkedIn, like most other social networks, auto-plays native videos with the sound turned off. This means that capturing a viewer’s attention through visuals is paramount. And you need to capture attention quickly. When it comes to maximizing the impact of your B2B video content on LinkedIn, you’ll continue to find helpful guidance by heading to the LinkedIn Video Ads page.